Many spas offer the same beauty and grooming treatments as a beauty salon, and some even have quirky grooming stations or fabulous suites devoted to nails, brows, make-up and hair. Yet a recent survey suggests spa customers are more into feeling rather than looking good. 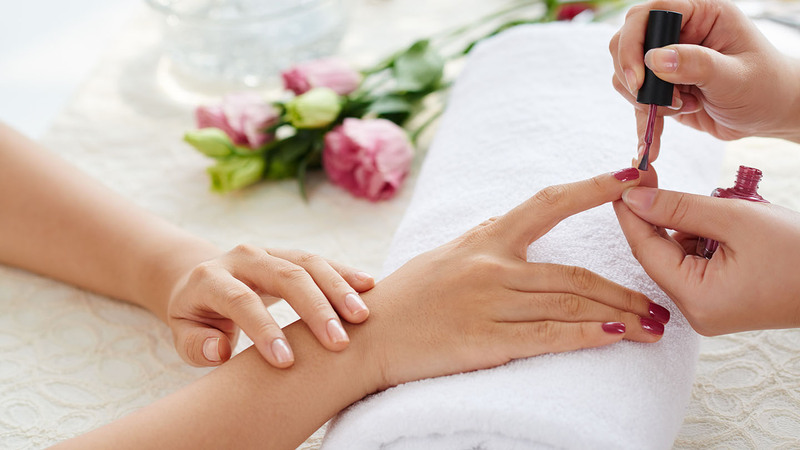 According to the latest Good Spa Guide survey, over 90 per cent of spa customers want a massage, 38 per cent want manicures and pedicures and only seven per cent would go for beauty treatments, such as tanning, waxing, brows or hair and make-up. 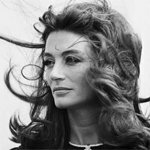 It may be that we divide beauty between inner (spas) and outer (beauty or tanning salons) – and never the twain shall meet. We Spa Spies may be biased, but we find most spa beauty treatments just as relaxing and enjoyable as a massage or facial. Try a pedicure with a glass of bubbly watching baby ducklings waddle across the lawns at Rookery Hall in Cheshire, for example. Or an indulgent spray tan treatment – basically a pleasant exfoliating massage where you emerge with a flawless golden glow. 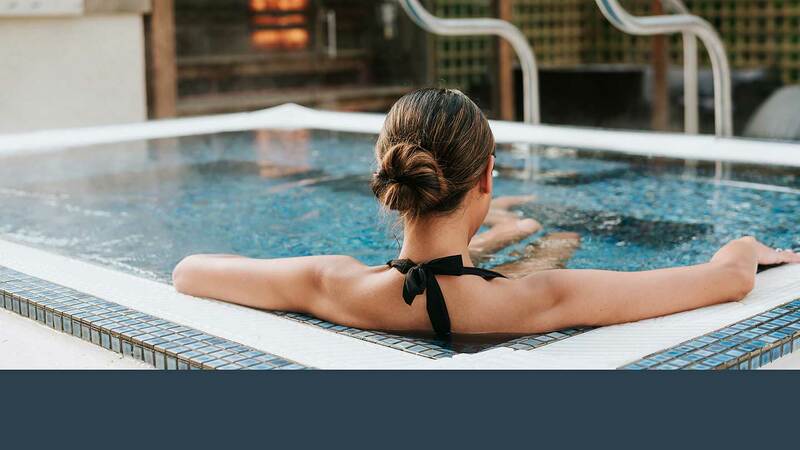 Of course, there are practicalities involved with some beauty add-ons that need to be taken into consideration when booking as part of your spa day (see our tips below). 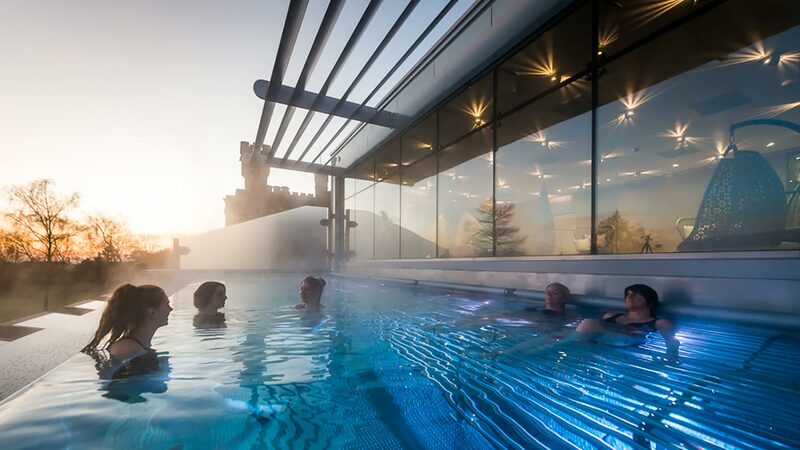 But once your inner glow has been thoroughly stoked by the spa treatments and facilities, we think there’s no better way to complete your spa experience. Plus, the effects last long after: a splash of glam to take you back to the real world, reminding you of your special spa day. Here’s the lowdown on some of the beauty and grooming treatments offered at many of our favourite spas. Manicures and pedicures at spas can range from a couple of chairs near reception to entire rooms with thrones and nail stations. Groups often hire out these rooms, and they’re particularly popular with hen parties. Our favourites include the Mad Men style Champagne Nail Parlour at Dormy House in the Cotswolds for a spot of post-spa grooming and fizz. 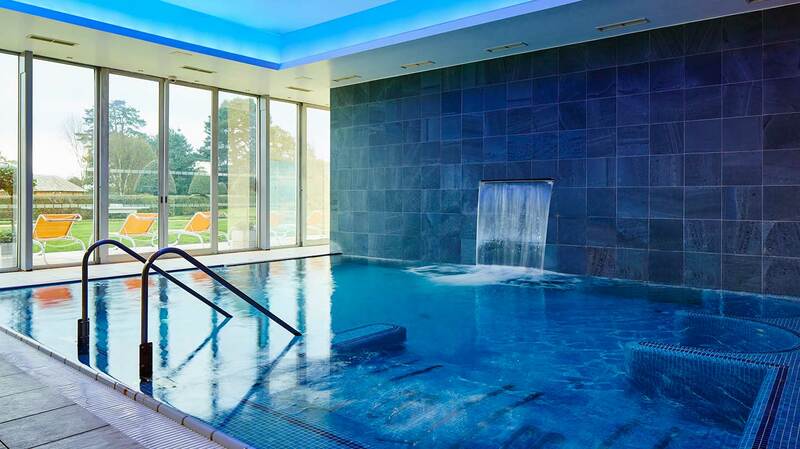 The huge and stunning nail salon at Champneys Tring has plush purple pedicure thrones, and offers a wide range of Jessica treatments for hands and feet, nail art and mani/pedis for men. A manicure at a spa can clean, shape, strengthen and colour your nails, and soften the skin on your hands. It also has the side-effect of relaxing you as there are pressure points on your hands that relate to other parts of your body. Sometimes your manicurist will use reflexology or other hand-massage techniques as part of your treatment. You can opt for a hot stone manicure, or get extra soft skin with intensive paraffin wax and heated mittens. A traditional pedicure begins with a therapeutic foot spa to soak, clean and soften your feet, followed by an exfoliating rub. Your pedicurist will cut and shape your nails and then massage cream or aromatherapy oils into your feet. Many pedicurists will also massage your lower legs, or give you a reflexology-based foot massage to help you relax. Some pedicures include hot stones, others use mud, wraps and even algae. High quality polish will be applied at the end. For both a manicure and pedicure you can also have gel-based polishes which last up to two weeks. The idea is that the gel bonds more securely than regular polish, which results in a longerlasting, shinier finish. Your therapist will apply a basecoat, colour and a top coat, and then cure your nails under a UV light. You also might hear gel nails being referred to as Gelac or Shellac; they’re both brand names with a slightly different technique. Many spas offer a glass of bubbly with your manicure and pedicure: it certainly adds a little glamour to the experience! Tip: Leave yourself time after the treatment – while shop bought polish often takes five minutes to dry, salon colour can take up to 12 hours to dry completely. This isn’t the case with gel manicures as the polish contains polymers which harden under UV light. Perfectly rendered statement eyebrows are as, if not more, important these days than lustrous lashes. Brows are now a regular staple on most spa menus, with some spas even having dedicated brow bars. A typical brow treatment will begin with an in-depth consultation, followed by tinting, waxing or threading, shaping and finishing. Eyebrow tint – is a semi-permanent colour formed for use on the eyebrows. A patch test is required 24 hours before the treatment, so it’s best to find a local spa. Your treatment will begin with a consultation, during which your therapist will recommend the right shade for you. First she will rub petroleum jelly around your eyebrows to prevent the dye from staining the skin. Then she will comb the tint from inside to out, using a disposable applicator. The tint will be left for about 10-15 minutes and removed using a cotton wipe. Some dye may be left on the skin through the hairs, but this will disappear after a day or two. Waxing, threading or tweezing – what’s the difference? Basically, waxing is better if you have thicker brows as the regrowth takes longer. You may have to put up with the red halo around your brows after the treatment. If you want a more ‘undone’, natural effect, tweezing and threading are better. The advantage of having tweezing done by a pro is that it’s easy to get trigger-happy and end up with crazy-thin brows if you try it at home (especially with a magnifying mirror). 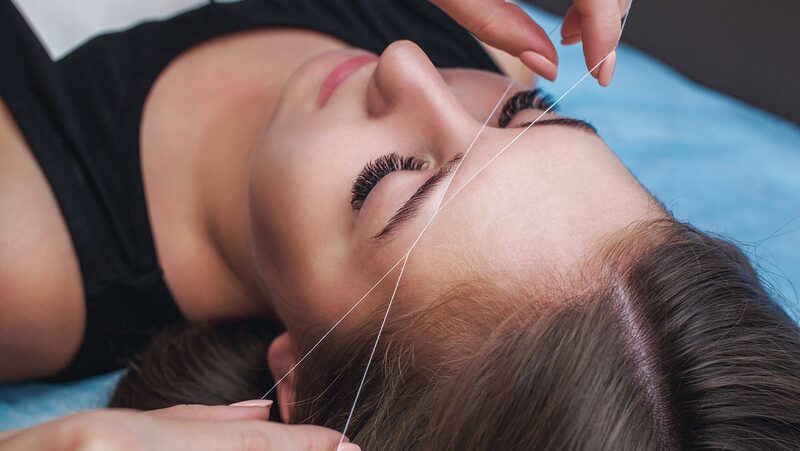 Threading is an ancient Indian hair removal technique using strands of cotton. It’s quicker than plucking as several hairs can be removed at once. All you have to do is lie down, eyes closed, and stretch the skin around your brows with your fingers as your therapist sets to work. Shaping and finishing – usually involves a few snips with mini scissors and any extra tweezes to make sure your brows are perfect. At the end, your therapist may offer to apply a cooling gel containing aloe to soothe any red marks. Many spas offer eyelash tints, which also require a patch test 24 hours before treatment. Some offer a range of lash extensions to create different effects, from natural (great for holidays) to dramatic (Kim Kardashian). Eyelash tint – very similar to an eyebrow tint. Normally your therapist will place a cotton pad below your eyes before applying the specialist dye. Remember to keep your eyes closed as the dye can sting! Lash extensions – there are three types of extensions: synthetic, silk, or mink, with sizes ranging from 6mm to 17mm. 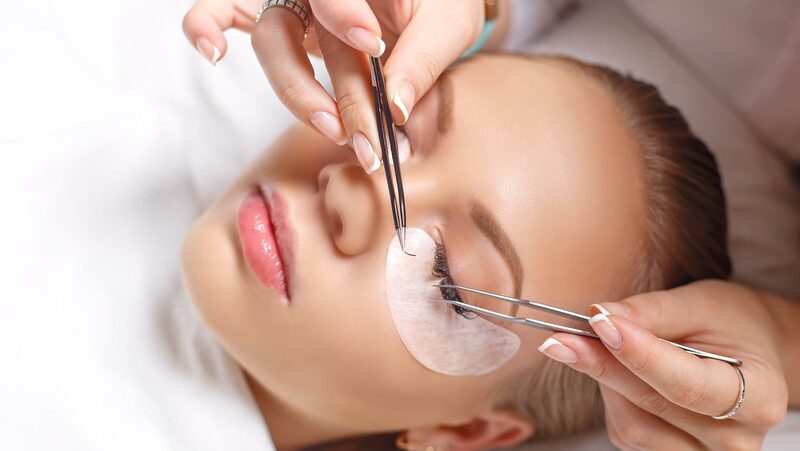 The lashes are applied using a semi-permanent glue (if sensitive, make sure you ask your therapist for a hypoallergenic one), and pads will be placed under your lashes to protect your eyes. Applying a full set takes around two hours, and you should steer clear of water or steam for at least 24 hours afterwards. The eyelashes fall out naturally, and it is recommended you go back for a 30 minute touch up every 3-4 weeks. Tip: If having extensions or dye, do a patch test 24 hours before the treatment. Some people do react to the products, and it’s not a good look! You’ll be treating your body and skin during your spa day, but there’s no need to leave your hair out of the pampering experience. 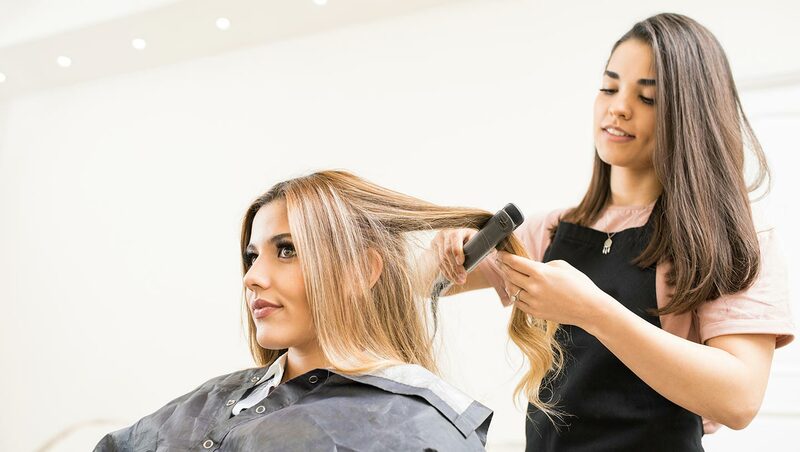 Spas can offer everything from a cut and colour to a special blow dry or updo. There are also different masks and treatments available, from rich moisturisers to steaming. 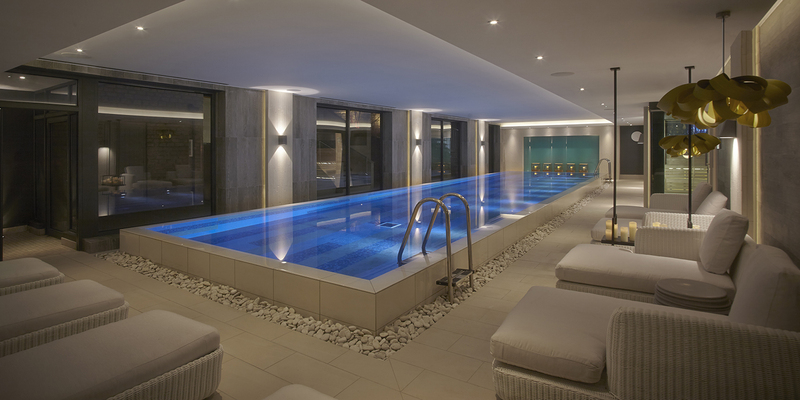 Try a Carol Joy treatment and blow dry at The Dorchester Spa in London. The Royal Treatment includes two masks and a picture perfect blow dry. One of our Spa Spies experienced this recently and it left her with silky, shiny hair that was in much better condition, even a week after the treatment. Some spas also offer a full colour and cut service – handy if you haven’t had time to go for a regular cut at home. 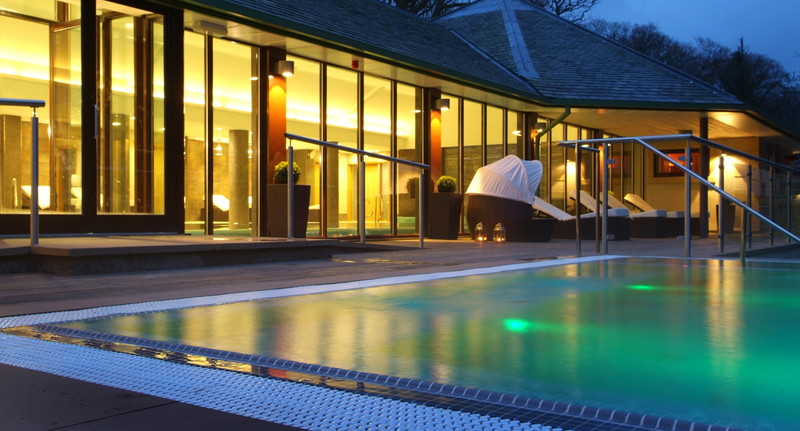 The Beauty Express at Ragdale Hall Health Hydro and Thermal Spa offers a full hair menu including highlights, restyles and permanent colour. Tip: Hair treatments really should be left until the end of your spa day. Heading back into the steam room once you’ve been coiffed could ruin all of your therapist’s efforts. At many spas, you can book a make-up lesson, have your make-up applied by a professional for a special occasion, or simply book a consultation to find out the best colours and products for your skin. The Spa Hotel at Ribby Hall near Blackpool has a Learn with Mii Mineral Make-Up Lesson (£30), a one-to-one with an expert who will teach you the techniques of a professional make-up artist. Brides can book a wedding trial plus make-up on the day, which includes a glass of fizz. Cumbria’s Armathwaite Hall also has Mii trained makeup stylists. As part oftheir full make-up treatments (45 minutes, £40) the skin is prepared using Comfort Zone products, and you can have a 20 per cent discount on Mii make-up bought on the day. 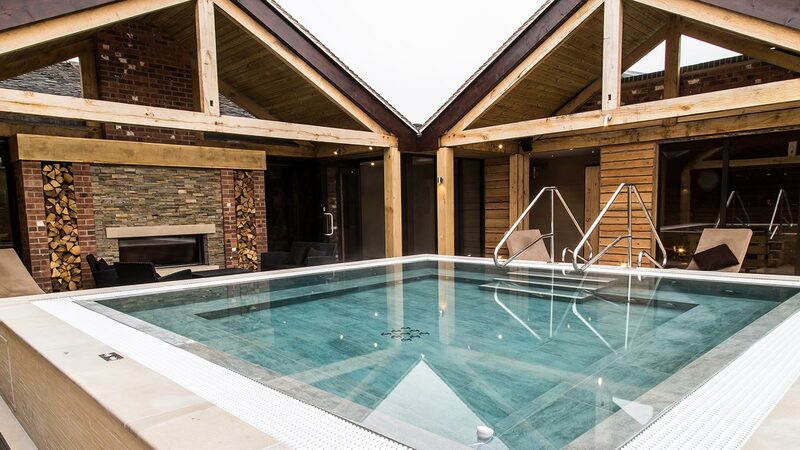 The Snug at Moddershall Oaks in Staffordshire is a super chic beauty sanctuary set apart from the main spa, and can be hired by parties, or you can book a single make-up treatment at the end of your spa day. They use Louise Redknapp’s award winning brand Wild About Beauty, and you can either have a quick party do-over (eyes and lips) for £12 or the full special occasion works for £39. 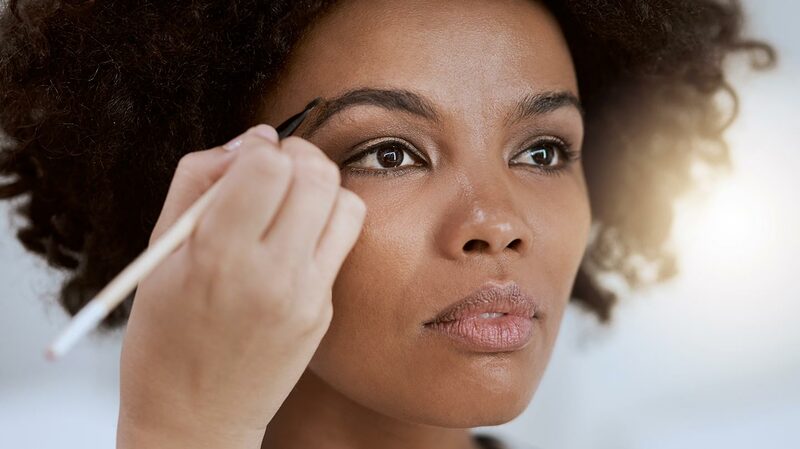 Tip: If you’ve just had a lovely facial that makes your skin glow, go for a lightweight make-up such as Bare Minerals, or Mii which is free from talc, parabens or artificial fragrance. A tanning treatment at a spa can leave your skin looking and feeling great, as well as being an enjoyable experience. Self-tanning creams, oils, sprays and lotions are a safer way to achieve an even tan than exposing yourself to the sun. Most spas use professional brands such as Fake Bake, St Tropez or Mii. You can wear your own bikini bottoms, underwear, the disposable knickers provided – or nothing at all. Spray tanning in a plastic pod is available in most spas: your therapist will tell you where to stand and when to turn around. Tan treatments will treat the skin first, exfoliating all over. An oil free moisturiser will be applied to more vulnerable areas, such as wrists, armpits, elbows and knees, then a tanning product will be evenly smoothed over your skin. A professional application means less likelihood of streaking. You will also get advice on how to look after your skin post-tan. Tip: To help your tan look even better, make sure you wax/shave and exfoliate 24 hours before your treatment – not on the day. As self-tan stains, it’s a good idea to paint your nails too. Make sure you wear dark clothes after the treatment!